Grey is a fabulous neutral that easily gives a bathroom a modern facelift. It works incredibly well as either a main or accent colour, sitting comfortably next to utilitarian white, as well as primary and pastels. Grey also has the ability to be used in a wide range of decorating motifs, from contemporary and industrial loft to luxury spa and hotel. 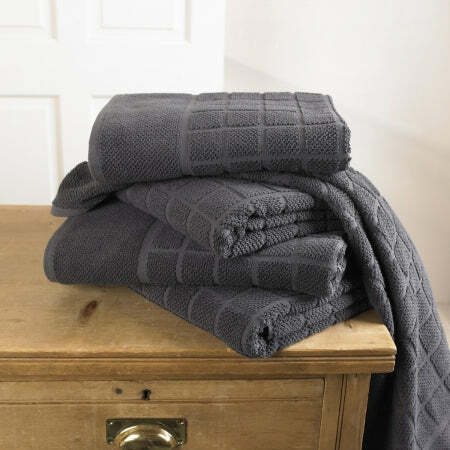 You will need to chose the correct shade of grey to avoid making your bathroom looking too chilly or too dark. 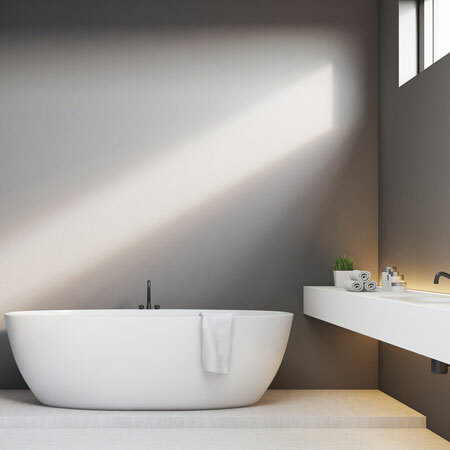 Think about the size of your bathroom and the amount of natural light it gets before you choose the hue. As bathrooms are inherently small in size beware of using too much charcoal or dark slate. 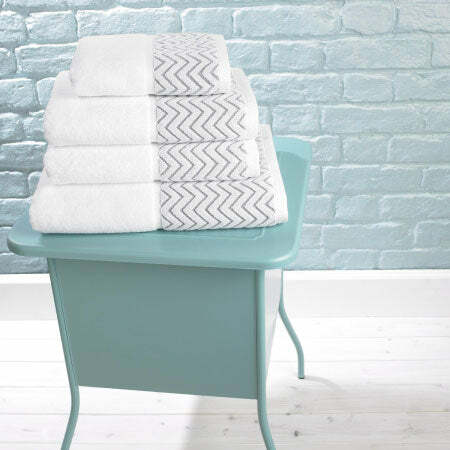 If your bathroom is north facing avoid using very pale hues as these can give a chilly, cold feel. As we are all too aware there are at least 50 Shades of Grey, according to Pantone there's actually over 100, and that's without the sequel 50 Shades More!! Don't think of dark and dingy for walls, opt for modern soft greys, graphite or slate. Team with black, white or tonal grey tiles for floors to achieve a cohesive and balanced look. 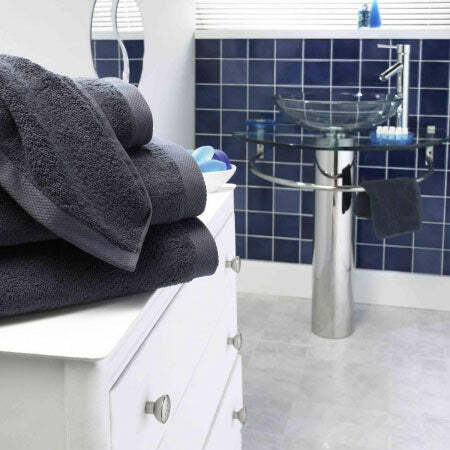 If you have a white bathroom suite use grey as accents via your soft furnishings and accessories. 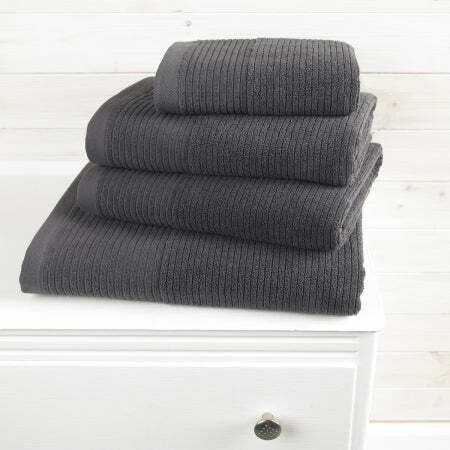 For example grey towels offer a cool modern look which can be enhanced by splashes of pink, yellow or black in storage boxes, soap holders etc. so that your décor leans towards femininity or masculinity as you wish. 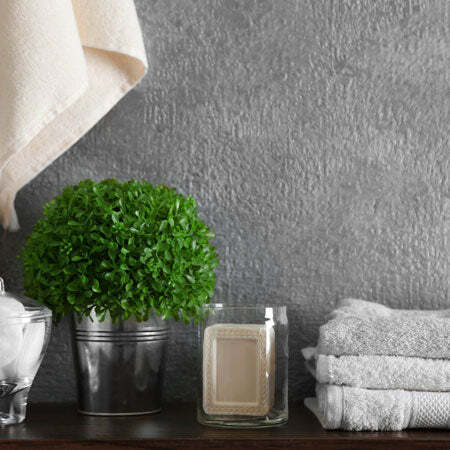 Keep to using only tones of grey, or monochromatic black and white to give your bathroom as gender neutral style. 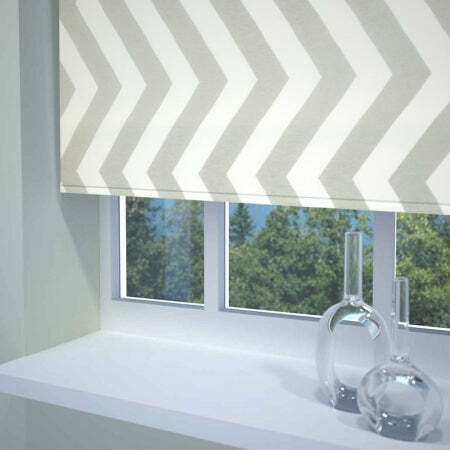 A grey window dressing, either blinds or curtains will also offer a clean look that compliments your accessories. Venetian and vertical blinds are ideal for bathrooms, look for designs which have been treated to cope with humid atmospheres to help prevent warping and distortion. 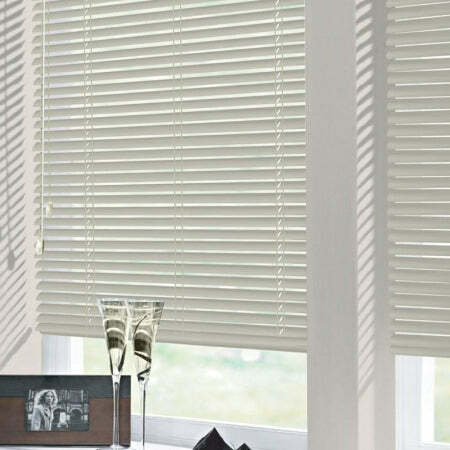 Alternatively go for Roman or roller blinds, again the styles designed to scope with humidity. You can of course use curtains in grey, however, blinds are typically far easierto keep clean and far less prone to mould. 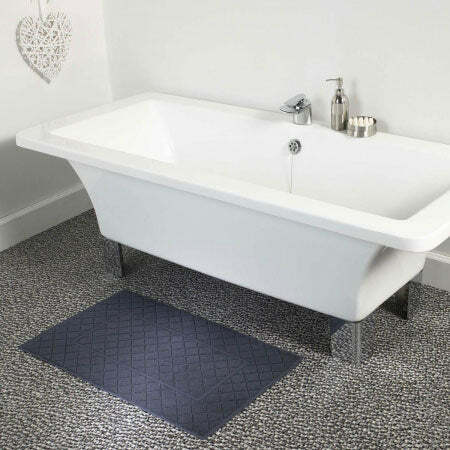 Grey accessories are an easy way to introduce this fabulous colour into your bathroom whatever tones you choose to use. Don't dismiss grey in the bathroom. 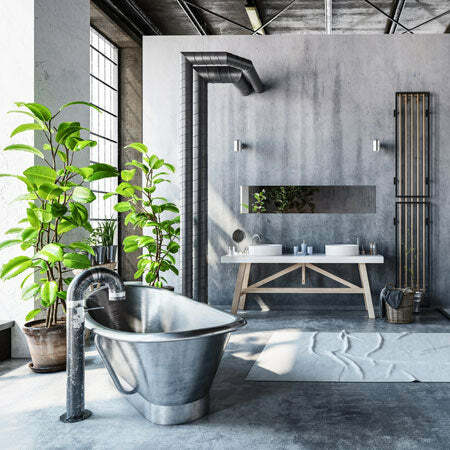 Choosing greys with the right undertones will give a harmonious style, so look for hues with blue, red, yellow or even black to get the hue that will turn your bathroom into a trendy new space that relaxing as well as inviting.